St. Kitts and its nine parishes are home to many St. Kitts Fishing Guides. These guides know the area extremely well. They can show you to the many inland water sources where fishing is plentiful. They also help show you all of the coastal fishing spots sure to get a catch. St. Kitts Fishing Charters will take you on those deep-sea excursions. 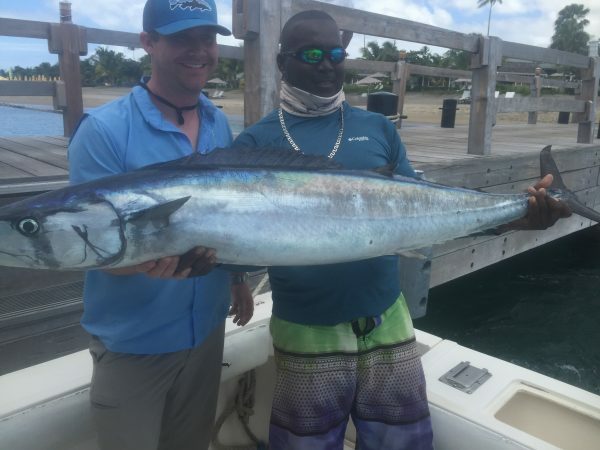 They are perfect for groups of vacationers and those who don’t have gear, as the gear and the boat is provided by the St. Kitts Fishing Charter company. There is a wide variety of fish throughout the area and the Marlin is the choice of all sportsmen and vacationers and is available in large numbers in the area. Saint Kitts, which has a formal name of Saint Christopher Island, is part of the West Indies on the edge of the Caribbean and Atlantic Oceans. Saint Kitts is actually part of a singular country with the nearby island of Nevis and is known as the Federation of Saint Kitts and Nevis. Saint Kitts has a population of more than 35,000 and speaks English as it’s primary language. Basseterre is the capital and is a large port where many St. Kitts Fishing Charters and St. Kitts Fishing Guides make their home base.